This post has been sponsored by Cuties in conjunction with Collectively; all opinions are entirely my own. 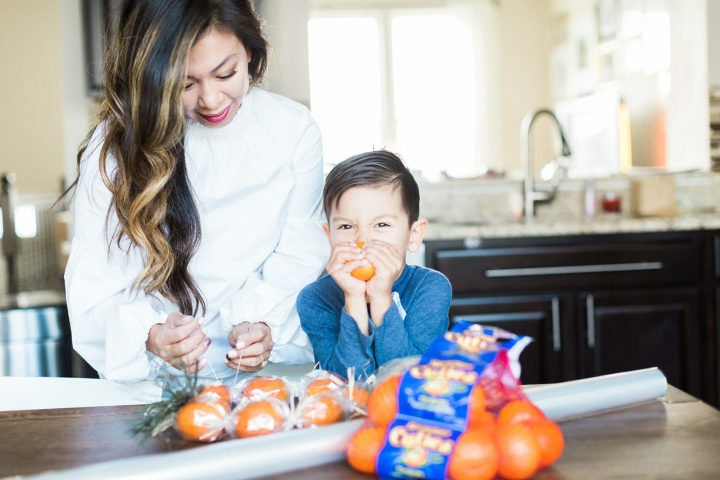 What is it about this tiny, seedless citrus fruit that makes kids go wild for it? Is it the cheerful, bright orange color? Is it that it’s perfectly sized for tiny hands? 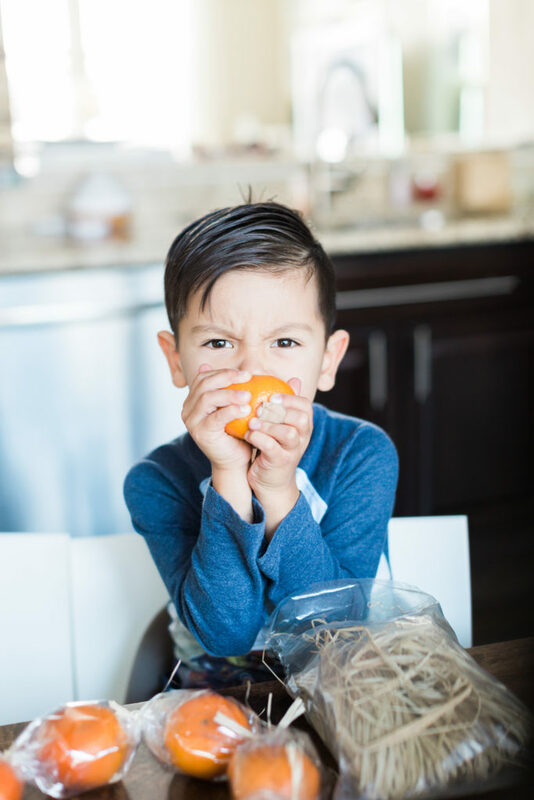 My children live for Cuties, especially my oldest son who insists it to be different than all the mandarins and other perfectly fine substitutes out there, and so I may or may not have called and/or driven around to at least 4 stores to get my hands on them. 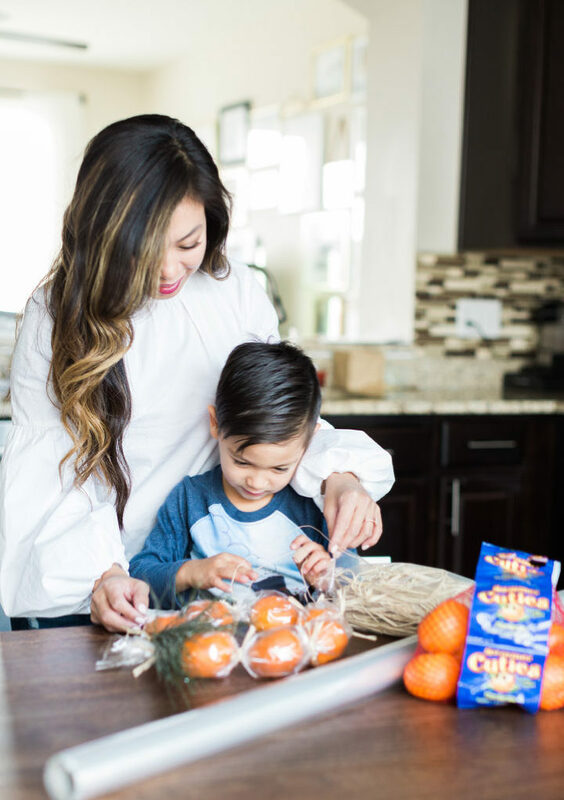 As lifelong fans of these darling clementines, and to celebrate the return of this delicious little citrus fruit this Cuties season, my kids and I are excited to partner with Cuties to share with you the #100DaysOfSunshine campaign, which its mission is to spread sweetness and sunshine to those we love! Make a homemade wreath made with Cuties and share with your friends. Perfect as a festive holiday gift or decorating accent, or simply just because you love your friends, you can check out this Pinterest tutorial for how to make one of your own! Extend kindness beyond your family and friends, and say hello to someone you don’t know. One morning the kids and I went into a local mall to escape the rain. We decided to eat in the food court and my youngest son, Cole, was very drawn to an elderly gentleman eating by himself. Cole even gave him a high-five as we walked past him. After we ordered our breakfast, I decided to introduce ourselves to him. I asked if we could join him for breakfast. We learned that Christopher came to the United States from Ireland in 1953 when he was about 20 years old. He has two kids who he doesn’t get to see very often, and one of his sons even attended my old high school and eventually became the principal for some time. He said it made his day that we stopped to say hello! Give free hugs. Smiles and kindness don’t cost a thing. A couple years ago, I joined up with a group of friends to give free hugs in downtown Chicago. Armed with our handmade signs and smiles, we must have given out at least a hundred hugs to strangers and it was one of the best feelings in my life! I love to talk about this experience with my kids, and more importantly, what it meant to me to inject positive energy and kindness into the world! What are some things you and your family do to spread cheer to loved ones? I’d love to hear in the comments here, and don’t forget to join the conversation on social media using the hashtag #100DaysOfSunshine!